When it comes to compensation for these losses, Fort Lauderdale car accident attorneys typically first help you start with claims to your own auto insurer through personal injury protection (PIP) benefits. Depending on the circumstances, you may be entitled to a maximum $10,000 (80 percent of your medical losses and a portion of your lost wages). Florida is a no-fault state for auto insurance claims, but you can step outside that system and pursue bodily injury liability coverage from the insurers of those at-fault if your injuries are considered serious, disabling and/or permanent. In some cases, more than one defendant may be liable, including not only other drivers but car owners, manufacturers and road engineers, as well as alcohol vendors. All of this may further complicate your claim to recovery and necessitating the aid of a Fort Lauderdale car accident attorney to ensure your rights are protected and you receive fair compensation. Any time you have multiple vehicles involved in a crash, there is a potential for serious destruction. Florida has been especially prone to pileups on highways like I-75, particularly when inclement weather like downpours or smoke from brush fires impairs drivers’ vision. Pileup crashes may put motorists more at risks of fires, flying debris and even explosions. Pileup car accidents are also sometimes referred to as “chain reaction crashes.” It can be especially difficult to determine who was at-fault in these collisions. Furthermore, there are sometimes multiple claims made against the same insurer – and there may only be so much to go around. There is where having your own uninsured/underinsured motorist (UM/UIM) coverage is often so important. According to the National Highway Traffic Safety Administration (NHTSA), rollovers are one of the most dangerous type of collision and they tend to have a higher death rate than other types of crashes. Of the more roughly 9 million crashes recorded in a single recent year, only about 2.1 percent involved rollover. Yet rollovers accounted for 35 percent of all deaths stemming from passenger vehicle crashes. Just in one year alone, more than 7,600 people died in a rollover crashes. It’s worth noting nearly 70 percent of those who died weren’t wearing seat belts – a factor defendants in these cases may raise as well. A head-on collision occurs when a vehicle runs smack into the front of another vehicle traveling in the opposite direction. They’re unlikely at low speeds, typically occurring with both vehicles traveling along in opposite directions in opposing lane when one vehicle veers into the lane of the other. If both vehicles are traveling at, say, 35 mph, physics tells us the impact of a head-on collision would be comparable to other types of collisions at 70 mph. There is often a very high chance of fatality in a head-on collision. The Insurance Institute for Highway Safety reports frontal impact crashes accounted for 56 percent of passenger vehicle occupant deaths in 2017. A t-bopne crash occurs when one vehicle hits another at a perpendicular angle. The IIHS reports this type of crash accounts for 24 percent of all passenger vehicle occupant deaths. 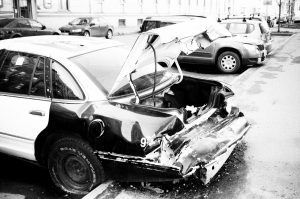 Fort Lauderdale car accident attorneys know T-bone crashes are most likely to occur at intersections, typically when one driver runs a red light or fails to yield. T-bone crashes often disproportionately impact drivers and drivers’ side passengers. Bottom line: Any crash that results in severe injury or death necessitates the assistance of an injury or wrongful death attorney with extensive experience. Auto insurance companies often try to settle these cases for a fraction of what they are worth. It’s in your best interest to work with an injury attorney who will ensure your rights and best interests are protected.